To mark our 75th anniversary we've launched a new, year-long fundraising event, challenging you to cover 75 miles any way you wish, raising funds along the way to ensure we're around for at least another 75 years. With January now safely underway and as many of us mull over the health and fitness opportunities open to us to work off the excesses of the holidays and make good on our new year’s resolutions, what better time to launch a fundraising event that gives you the chance to complete a set distance in whatever way you wish, raising much needed funds along the way to boost the number of people to whom we can offer life enhancing support? Ladies and gentleman, welcome to #My75Miles. This is an exciting new event for our 75th anniversary year and one that is open to everyone, whatever your fitness level or past fundraising experience. Indeed, whether you’re a regular marathon runner or a self confessed couch potato, whether you’re still at school or newly retired, whatever your personal circumstance #My75Miles can be as simple or as demanding as your imagination allows. The rules are simple: complete 75 miles any way you wish, individually or as part of a team, before 31 December, 2018, raising a minimum of £75 along the way. The how, where and when is entirely up to you. You could run it, walk it, swim it, cycle it, hike it, skate it, golf it, do it three-legged, do it carrying a ladder, dressed in full BA gear or in whatever fancy dress you wish. 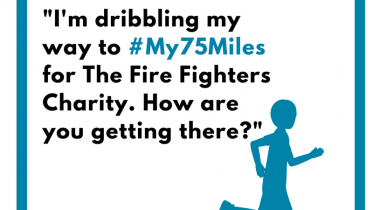 We’ve created a dedicated website for #My75Miles too – www.firefighterscharity.org.uk/my75miles – where you need to register your challenge and where you can build your personalised fundraising page. 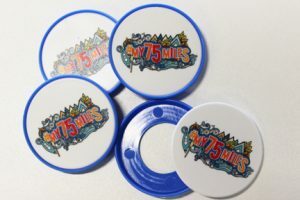 Working in much the same way as other fundraising websites, the #My75Miles site allows you to tell your story and share your experience, while also providing you with a place where your supporters can sponsor you and you can keep track of the money as it comes in. 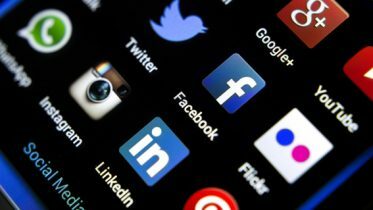 In short, it’s your one-stop-shop for your fundraising event and, as well as helping you to meet your fundraising target, it will also allow you to represent your fire service and, in so doing, compete with other services to raise as much money as you can as a collective team over the course of 2018.